Why is my head so fat? 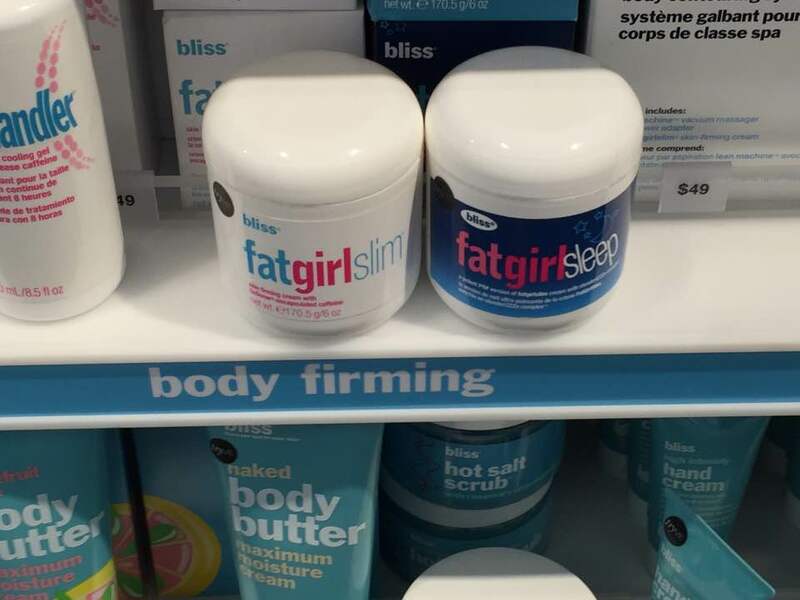 A quick Google search told me that Bliss’s Fat Girl products are not part of a new line, but I don’t go into Sephora very often, so it’s new to me. Now I have not read any peer-reviewed studies on the efficacy of fat-slimming products, but my guess is that they only work in combination with a rigorous diet and exercise plan — and that the plan would work equally well without the addition of the creamy magical thinking in a jar Bliss is selling. I’m not going to write about body shaming. That topic has been covered by many people smarter than me. If I think about it — and frankly I don’t think about it often — the only part of my body that I’d like to shrink is my head. 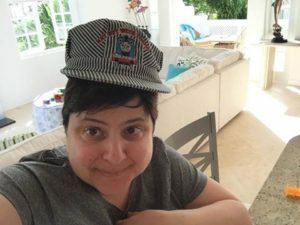 That way I could get my Thomas & Friends hat to fit.